Brexit is the hot topic in the news these days. With the UK’s decision to leave the European Union, economies all around the world are changing. In fact, the impact on mortgage rates right here in the US has been tremendous, and many experts cite that they are slated to hit all-time lows. The people of the United Kingdom voted to leave the European Union, or EU, on June 23, 2016. The entire world was shocked with the news that the UK would no longer be a part of the EU. More than 30 million people in that nation voted on the topic, and 52% of the country agreed that it should leave the EU. However, the processes by which the UK actually makes its exit could take some time, and until then, the UK is still bound to laws and agreements set forth by the European Union. People tend to invest their money in whatever is stable. The UK has been part of the EU for many, many years. The EU has its own form off currency, the Euro, which is typically valued higher than the US dollar. The UK’s exit from the EU will likely drive the value of the Euro down as an entire nation of people will trade their Euros for their own national currency. When the value of a specific currency drops substantially, investors tend to pull their money out of those markets and re-invest their funds elsewhere in hopes of getting better returns. International investments are a bit rocky thanks to Brexit and issues in other parts of the world, which means that US and foreign investors are coming back to the one market that is almost always stable – real estate. With more people investing their money, US mortgage rates are falling – and they’ve reached near-record lows. In fact, the 10-year Treasury rate has fallen substantially, which has prompted many lenders to profit from the tumultuous US equities market. Anyone interested in taking advantage of these low interest rates should expect a slower processing time than average. Although lenders are aware that the demand for mortgages is on the rise, the odds that they’ll hire additional workers to handle the temporary influx of applications is very slim. 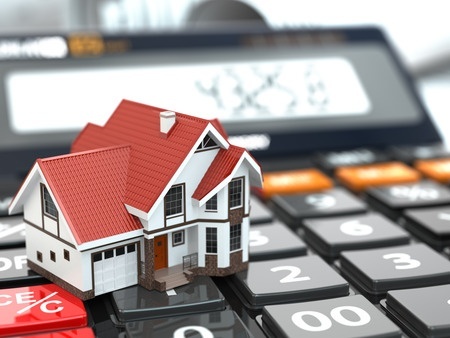 Many experts and analysts predict that the baseline mortgage rate will climb to 4.7% or more from today’s 3.61% rate for a 30-year fixed mortgage, which means that it is not in anyone’s best interest to wait for lower rates at this point. Currently, the benchmark for 15-year fixed rate mortgages is a jaw-dropping 2.89% – far lower than it’s been in years. Brexit was undoubtedly shocking news for people around the world, and the people of the UK can look forward to many changes ahead. Although the secession of the UK from the EU is impacting economies all over the globe, this impact is expected to be temporary and should level off within the next 12 months.